The jewel of the crown. A definitive example of Pullman’s prowess. 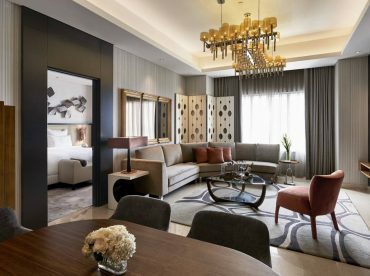 The Accent suite is a vast two bedroom, lavish presidential suite on the hotel’s top floor – 170 square metres, fit for royalty and designed for the discerning global nomad. Sensational designer decor gives way to skyline views of Jakarta. Plush sofas and a chaise longue invites guests to chill in front of the state-of-the-art home cinema system. The bedroom features an en-suite wardrobe and bathroom. A meeting room provides utmost privacy, while the dining table can seat up to ten. The Accent suite by Pullman, a slice of uber luxury.